LOS ANGELES – With the recently announced additions of veteran commentators Mauro Ranallo and Mike Goldberg to the current Bellator broadcast team, fight night roles have been determined for the biggest evening in the promotion’s history when Bellator NYC: Sonnen vs. Silva and Bellator 180: Davis vs. Bader air live on Saturday, June 24 from Madison Square Garden in New York. Bellator’s stacked pay-per-view event, Bellator NYC: Sonnen vs. Silva, will see play-by-play analyst Mauro Ranallo join longtime Bellator color commentator Jimmy Smith for the first time live at 10 p.m. ET/7p.m. 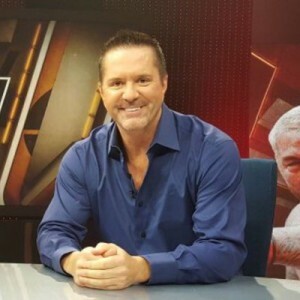 PT, while Mike Goldberg will anchor the desk for the historic broadcast. Jenn Brown will host SPIKE’s live pre-show during preliminary action, where she will be joined by popular MMA personality Brendan Schaub and Bellator lightweight Josh Thomson, who will offer unique insight and analysis leading into the historic event. Schaub and Thomson will later join Ranallo at the desk duringBellator 180. The voice of Bellator, Michael C. Williams, will take his familiar position inside the cage as the evening’s ring announcer.